Below you can view all the homes for sale in the Windemere subdivision located in North Las Vegas Nevada. 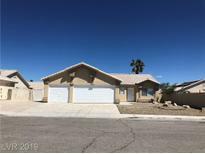 Listings in Windemere are updated daily from data we receive from the Las Vegas multiple listing service. To learn more about any of these homes or to receive custom notifications when a new property is listed for sale in Windemere, give us a call at 702-323-5963. Features To Include: Freshly Painted Two Tone Paint, All New Exterior Paint, New Flooring Throughout, Separate Family Rooms, 2 Way Fireplace, Kitchen W/New Granite Countertops, Built In Microwave, New Fixtures, New Faucets, New Doors, Nice Sized Bedrooms And Closet Spaces, New Garage Door, Rv Parking, Large Desert Landscaped Backyard, Inground Pool With Covered Patio And Deck. MLS#2090563. Brazill Team Real Estate. HUGE bedrooms you can't find in new houses! Large, oversized lot. MLS#2084518. BHHS Nevada Properties. 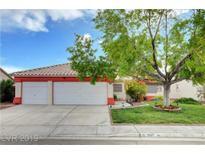 This home is well cared for with lots of pride in ownership. MLS#2075123. Keller Williams Market Place. Fully fenced back yard w/covered patio. 3-car Garage. All appliances included. MLS#2074266. Signature Real Estate Group. Home comes with a 30-day buyback guarantee. Terms and conditions apply. MLS#2073038. Opendoor Brokerage LLC.